This freshly painted two bedroom apartment includes a new fridge, re-finished hardwood floors and is close to schools, shopping and public transportation. Hydro extra. Visit us today! Book your showing at 905.625.4677! 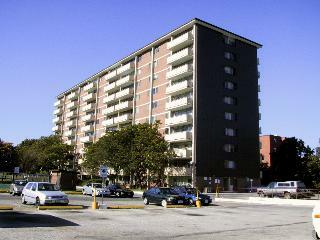 Ravine Apartments represents real rental value in a fabulous location. Steps to schools and shopping, we’re ready for you! Call us today at 905.625.4677 to book your showing!